IN AN era when bookshops are struggling to compete with the popularity of on-line reading, it is heartening to see one small village bookshop not only surviving but growing. Annie's Books on Peregian celebrates its 10th birthday this month. After ten years in the village centre of Peregian, the bookstore has become synonymous with good reading, author events, and a place to stop by for a chat with a local operator. 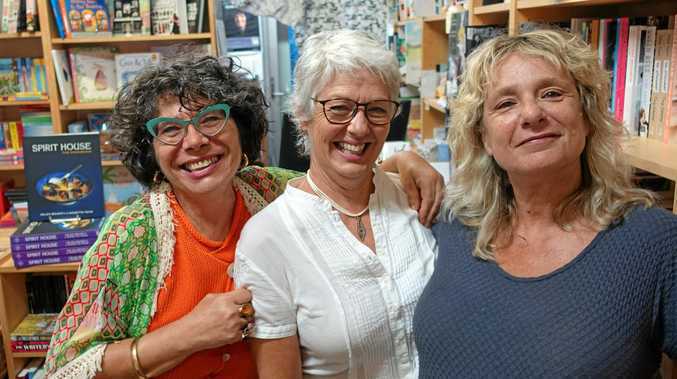 Owner Annie Grossman took on the challenge to open a book store a decade ago knowing it was a risk but treating it as something she simply had to do. "One day visiting the shops at my local Peregian Beach Village I saw a tiny shop to rent," she said. "I thought about the joys of living and working in Peregian and thought it was worth the risk. I had a lot of experience in book detection and in running events, skills I knew I could transfer to my own operation." 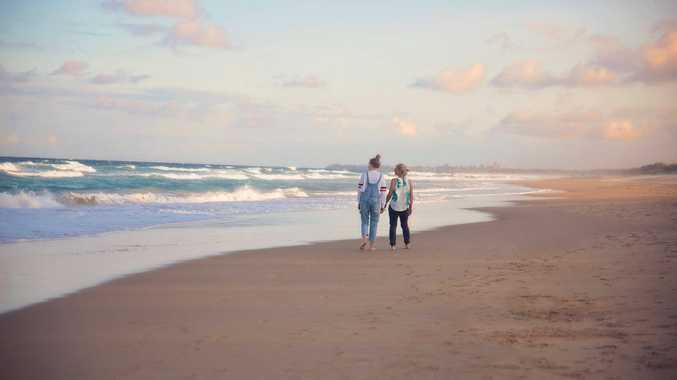 Peregian is one of those small seaside towns that has managed to maintain its integrity and identity through times of great change. The beach/village atmosphere makes shopping and dining an intimate experience and Annie knew this would work in her favour. "Peregian has a very tight and passionate community who want to preserve our natural attractions," she said. Peregian might be a small coastal village but it has not stopped the flood of big name authors to appear at Annie's small bookshop, names we would normally have to travel to the city to see. "I have welcomed some truly wonderful guests," Annie said. "In partnership with my friends at Noosa Library Service we recently hosted large events with Helen Garner and Tex Perkins and with Tim Winton two years ago. I have had enormous crowds on my footpath for events with surfer Tom Carroll and musician Richard Clapton, as well as large and lively events with bestselling authors, Jane Harper, Annah Faulkner, Michael Robotham, Inga Simpson, Shelley Davidow, Bob Irwin, Fiona McIntosh, Sallyanne Atkinson, Kerry-Anne Kennerley and Phil Jarratt to name just a handful. There are many, many more. We were also very proud to launch the Spirit House Restaurant Cookbook with an impromptu sidewalk MasterChef competition. We love to showcase successful self-published authors such as local Maggie Christensen, and also to help get new authors with footpath signings and small events." Annie's footpath events have become so popular she has run out of footpath, with often more than a hundred people crowding into the small space to hear their favourite authors. "I am fortunate the footpath is free after 5.00pm, with all the nearby shops closed. Peregian is lovely in the evening - it's quiet, there is plenty of parking, and I don't have to pay for a venue. The atmosphere is very informal and friendly. Event nights are not particularly lucrative, but my costs are low - just a few bottles of wine, some cheese and my famous guacamole. Advertising would cost me much more, and these events keep my name on people's lips. Every author has a story, and I find every single event interesting and enjoyable. I am slowly building a regular crowd for these events - some even bring their own folding chairs. I love seeing the pleasure of my audiences and giving authors the opportunity to present their books in a casual and intimate setting." As well as stocking all the latest releases from authors all over the world, Annie has a talent for tracking down hard to find books, often many of them out of print. "I enjoy delving around for rare or out of print titles," she said. "My father had a rare book and first edition bookshop in the Blue Mountains many years ago - some of that must be in my genes. These days it's much easier to search, as everyone is pretty internet savvy, but I still have people wanting this service." Annie's advice for anyone thinking of starting a new business, no matter what it is, is to stay small and concentrate focus on your skills. "Concentrate on your specialty - don't fragment or diversify," she said. "Be visible to your customers, work in your business, and when you cannot be there, make sure you have staff who have your own standards and policies. Give your staff ownership, this is something my old employers did for me, make them feel they are part of the business, not just an employee. I am very fortunate as my two employees are people I love and trust, and who genuinely care for me and the business."